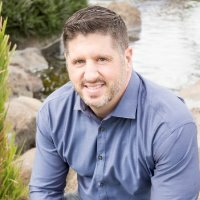 As a mortgage loan officer right here in Calabasas, I work with you to help you find the right mortgage for your unique situation. You probably have lots of questions. How much house can I really afford? Which type of mortgage best fits my needs? I can help you answer questions like that and I've worked with lots of people in and around Calabasas with home financing needs similar to yours. I'm proud to work for a reputable bank like U.S. Bank, and you can trust me to do what's right for you. So give me a call at 651.435.8595. As your mortgage needs change over time, U.S. Bank will be with you every step of the way to provide home loan guidance. We offer home loan refinancing that may decrease your monthly payments or reduce the time it takes to pay off your loan. If you’re trying to decrease your debt, you may consider cash-out refinancing options to take care of expenses. Call 651.435.8595 to learn more. At U.S. Bank in Calabasas, we know that the home loan process may seem a little intimidating. We’re here to help you understand your mortgage loan options and make the right decisions. Our mortgage professionals can guide you every step of the way, from determining your budget to applying for a mortgage to closing on your new house. If you’re new to the home buying process, there’s a lot that you’ll need to learn. At U.S. Bank in Calabasas, we can make sure that you understand how interest rates, down payments, and other factors are considered when determining your home financing solution. Call us at 651.435.8595 to schedule an appointment—we’ll walk you through every step of the process. At U.S. Bank in Calabasas, we know about the common financial challenges faced by military families. That’s why we participate in the VA Home Loan Guarantee program, which offers a streamlined approach to the mortgage approval process. VA Mortgages also feature low or no down payments, fixed-rate mortgages, and lower monthly payments. Your home is unique, and your mortgage should be, too. Whether you’re buying a vacation home, investment property, or primary residence is just one of the many factors that we at U.S. Bank in Calabasas will take into account while helping you understand your home loan choices. We have a variety of mortgage options—call 651.435.8595 to learn more. If you can’t find the perfect home on the market, there is another option….build your own! At U.S. Bank in Calabasas, our mortgage professionals have the credentials and expertise to assist you with your construction financing needs. We can help you close on your mortgage before construction begins, and we can also give you advice about choosing a builder. Call 651.435.8595 to learn more.